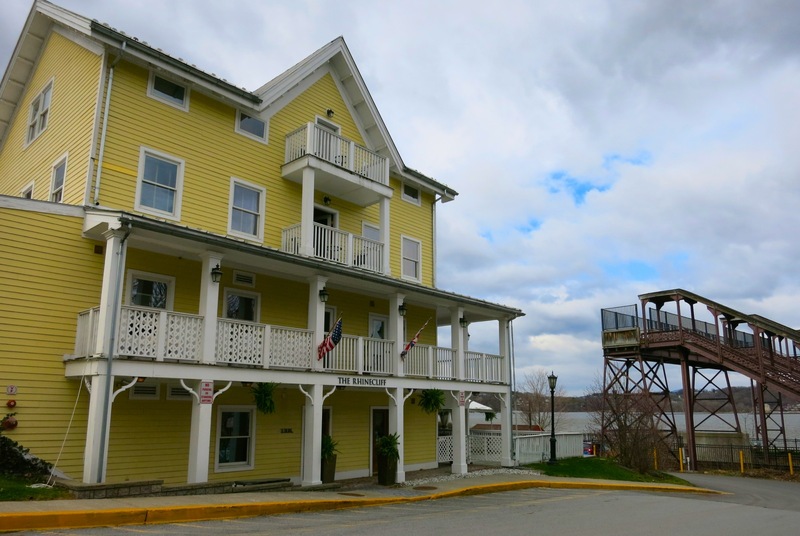 Years ago, owner, James Chapman would take the Hudson River Line from the city, get off at little Rhinecliff, NY station, and step across the street to the derelict bar at the Rhinecliff Hotel. Built in 1854 as a basic lodge/tavern for railroad travelers and workmen, The Rhinecliff was falling apart when Chapman and his brother got the bright idea to rescue it. 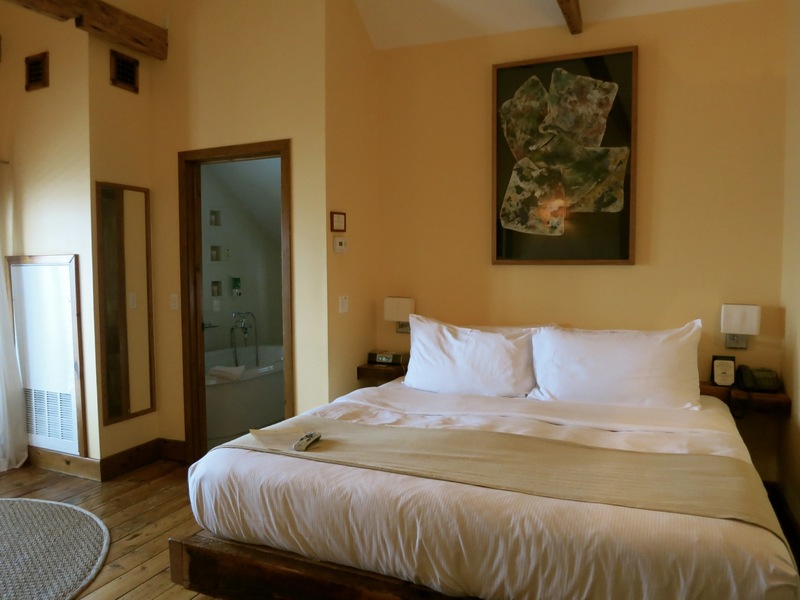 They hired an inventive architect/builder, David Borenstein, who turned what was essentially a tumbledown flophouse – a “Historic Railway Hotel” – into an “Eco-Boutique” and the first NY State Certified Green Hotel. 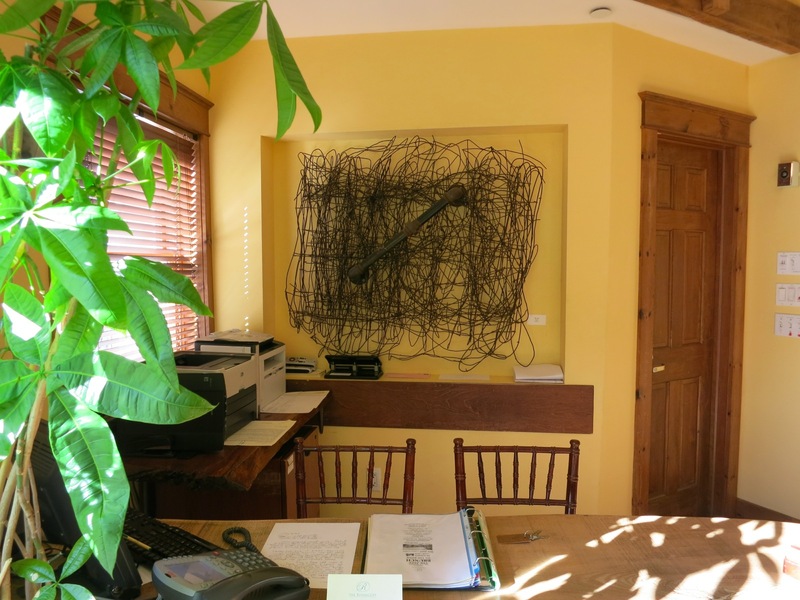 Borenstein utilized salvaged materials wherever possible; the wall sculpture behind the reception desk is formed from tangled wire fence and plumbing pipe, bed frames were once wooden beams, and bathroom vanities are slices of trees taken down on-site. But what to do about the proximity of the train-tracks – just a few yards from the hotel’s back door? 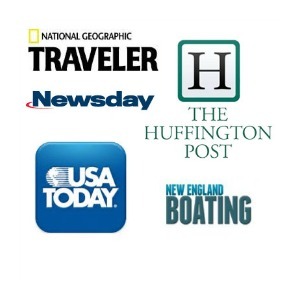 Turn it into a quirky part of experience, with complementary earplugs by each bedside! 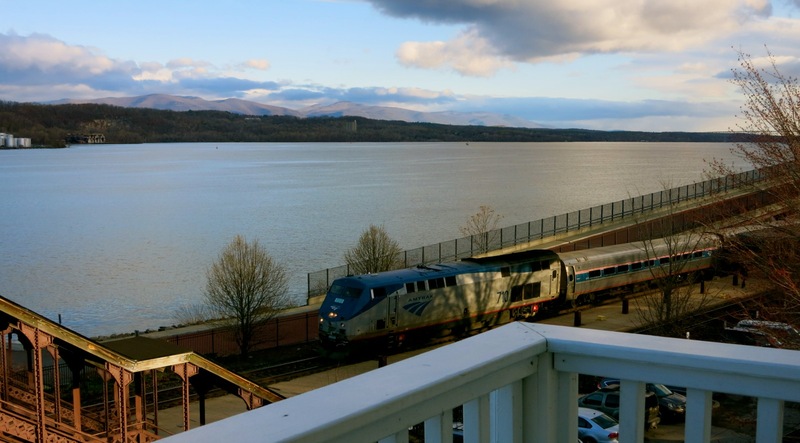 The Rhinecliff is a chic, cheeky, luxe, (but still noisy) way to get as close to the Hudson River as humanly possible without being on a train, and just two miles from downtown Rhinebeck. Each of nine trendy, natural rooms sports burnished wide plank floors, white plump duvet bedding, travertine baths, glass showers and French doors opening onto a balcony with unobstructed views of the Hudson River. The bed is comfortable beyond belief – so comfy, even the hum and horns and rumbling vibrations from trains stopping and starting right beneath your balcony, feels romantic rather than annoying. The whole room is bright and airy. H2O amenities are high-end, and little considerations, like a trio of real-looking faux candles above the jetted tub, and free wi-fi, not to mention very reasonable rates – especially offseason – make this hotel a Maven Favorite. Midweek offseason starts at $179 per night (standard room) to $389 for a weekend suite in high season, includes breakfast. 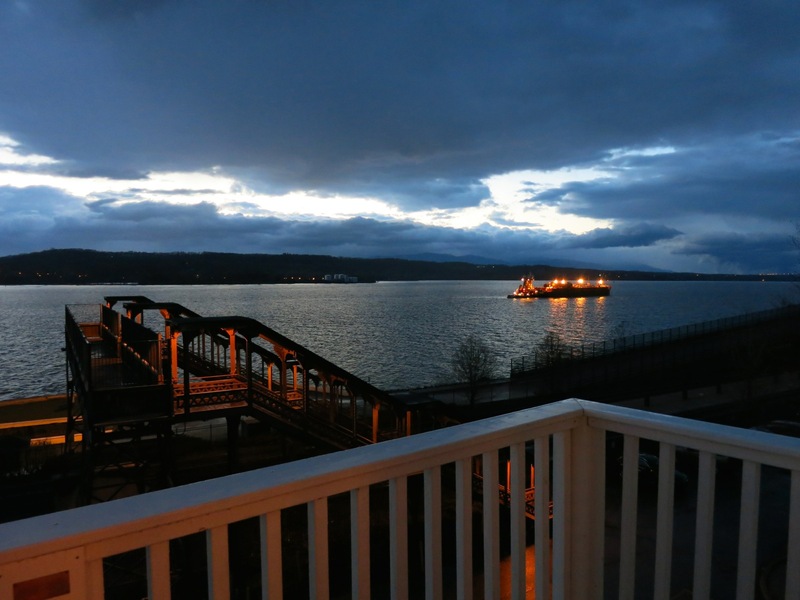 For a rundown of attractions and restaurants in the area, check out this Getaway Mavens post.